Train Till You Drop!!! : Jukaado is a martial art but Jukaado is a family first!!! Jukaado is a martial art but Jukaado is a family first!!! The Pool where we swim. I have spent 95% of my life till date in the martial arts world. Have always been fond of the way Samurai Clans / families stood by the members in the clan like an extended family. When I started on my own with Jukaado, this is what I was aiming to achieve. I feel I have done pretty well in achieving it. How many martial art organizations are there today where students and instructor interact and train even outside the Dojo? How many martial art organizations train in fitness routines beside martial arts? Well there will be only a handful who do this. Yes many martial artists individually beside training at the Dojo may go for a swim or do weight training or cycle and so on but as an organization not many. At Jukaado am always reachable for my students on anything they wish to discuss from training related to personal issues. Though we are all from various religions, backgrounds, belief systems etc we are all together like an extended family. Jukaado does not only teach you martial arts it helps you grow physically, mentally and spiritually as a human being. We go to swim , jog, cycle, run marathons, triathlons, dine and lots more together. We have two professional runners who train at class and I usually wish them before their marathon run. Just some time back one of them called me after returning from a well run marathon. She said something that really made me feel the family bond is mutual with my students too. She said - I was waiting for your wishes before the marathon and if you had not messaged me by evening I would have surely asked you by night. Hearing this from a student really made me feel happy. I have students who are 10 -15 years older than me but the respect that they give me and the faith they show in my teaching humbles me every time. I went through a pretty testing last few months after tearing my ligament and my students have stood by me, encouraging me and even boosting my morale. Few months back one of our senior most student in age and training saw me doing lunges before class and there were few other students around, now I know a few lunges is not a strain to the legs in anyway but seeing me do them he too started and stopped after few counts and said - this is killer, normal person also can not do but you are doing it so well, you have recovered. Though I knew it was not an impossible exercise his words did boost my morale to quite some extent. Am really happy that am part of such a nice group of people who come together to train and grow together. 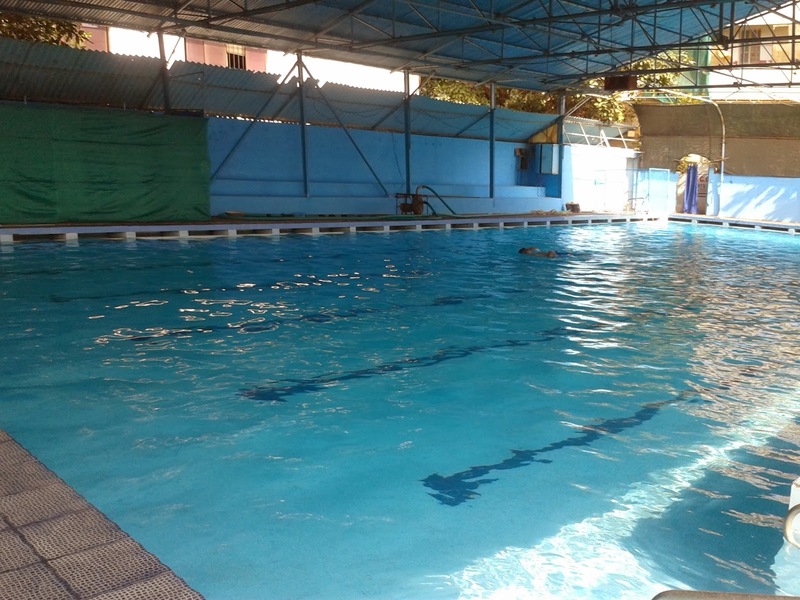 Saturday we had swam for an hour then had a very good class on Saturday evening. Sunday morning is usually the day we go cycling and was pleasantly surprised to see so many students turn up by 5:30am on a Sunday morning after a tiring Saturday evening class. We cycled 2 rounds totaling about 17kms. Felt really nice to have increased the distance, am recovering very well with every passing day. The cycling was followed by a hearty breakfast with all of them. As always came home and took a good nap to recover faster. Woke up feeling much better. Had some getorade to help recovery. Getorade replenishes all the salts we loose during workout and prevents muscles from getting cramps due to being drained of these salts. It does help if you wish to train twice a day. Evening had a nice cup of lemon grass tea and started a 2 hour workout session. I like my workout sessions as they are long and extensive but you do not feel the intensity as I do not hurry through them. Slow and steady I end up training quite a lot in a relaxed manner. I prefer this to a rushed workout. Sometimes having a lot of workout within a restricted time frame is good as it works on the cardio content too. Curds is also a very good natural food that is very important to a person who trains. Working out a lot not only strains your muscles but adds pressure to your internal organs too. Curds is one of the many foods that help maintaining good health of the internal organs like the stomach tract, kidneys, liver etc. Knowing good martial artists online means having so many interesting videos popping up on your facebook wall or your you tube account. One does need an hour daily to watch all of the videos or read the nice articles / posts they put up. So will end the day with watching some martial art videos online with a big bowl of curds. Beautiful !!! Shows your personality. Will try and meet you guys soon. which pool.is this by the way ? A day in the life of a Jukaadoka!!! !